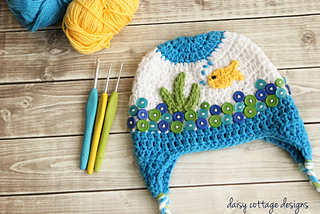 This unique and original FREE! 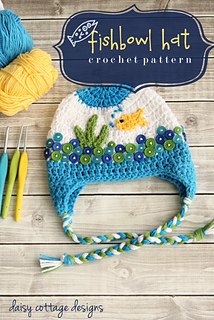 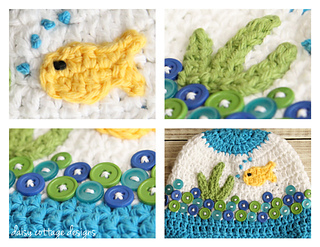 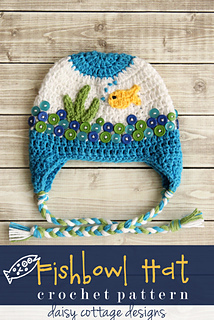 fishbowl hat pattern is simply adorable. 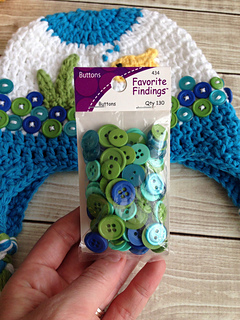 It’s fun use of buttons and adorable appliqués guarantee it will be a hit when your little one is seen wearing it.